2018 has been an amazing year for White & Son Shoes in Fore Street, Sidmouth. Following the honour of being awarded Ladies’ Independent Footwear Retailer of the Year at the prestigious Footwear Industry Awards, White & Son Shoes – with four generations of footwear experience and knowledge – continue to be one step ahead. The true value of shopping at an independent shoe shop is the range of brands and styles available. That’s why award-winning White & Son Shoes personally hand pick every shoe featured in the shop. The team visit all the major footwear exhibitions, carefully selecting shoes and boots that they know from experience will bring that “comfortable smile” to your face. 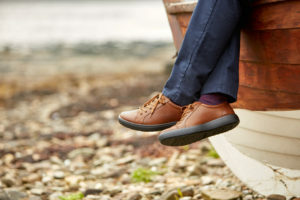 The whole team are excited to announce they will be able to offer a range of footwear from Britain’s largest shoemaker, the award winning Hotter Shoes. As a world class British Shoemaker, Hotter offer a range of footwear for both men and women, some available in a selection of fittings. 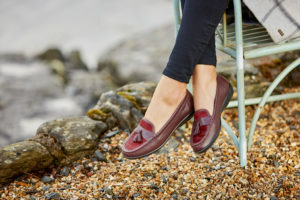 All of the Hotter shoes are designed with the Comfort Concept features, lightweight soles with millions of tiny air bubbles for an effortless step, fittings and wiggle room which allows that little extra room hidden inside every Hotter shoe. From super soft leathers and nubucks to pillow soft cushioning and extra flexibility every shoe has that Comfort Concept. White & Son Shoes look forward to helping you experience true comfort,real quality and great styles with Hotter shoes.